Whether you need a space-saving retail fixture, end unit display, wall unit, gondola, or an expanding trade show fixture that stands tall - yet folds flat - we can make it happen. No matter what size space you are working with or how large you want the fixture to unfold to, we make the components for your retail fixture that guarantee strength, ease of set up, and efficient use of space. 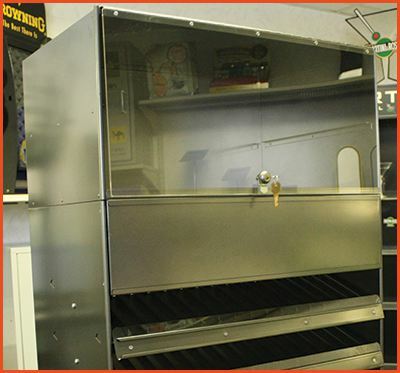 Our clients are POP display design houses, interior designers, OEMs, and fabricators. 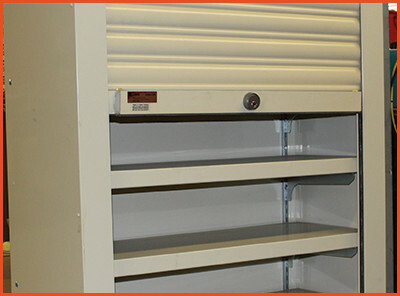 We work with them to make the precise components needed for each retail fixture. 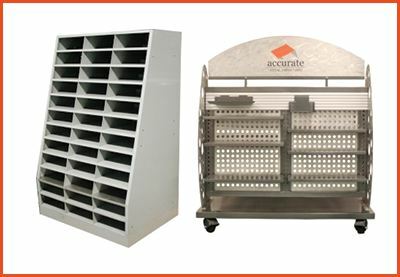 We have the equipment and expertise to ensure that the components are strong enough to hold any merchandise, but light enough to be easily assembled, moved, and adapted for changes in store setup. Have some merchandise you want to show off? 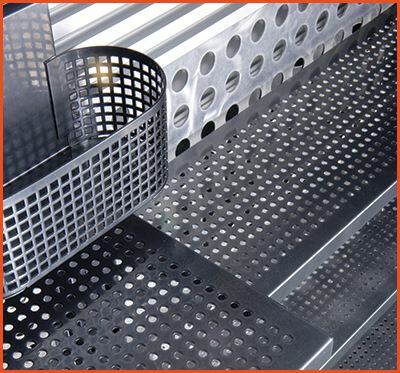 Our perforated and fabricated metal components are used in shelving and display racks at retail stores you visit every day. 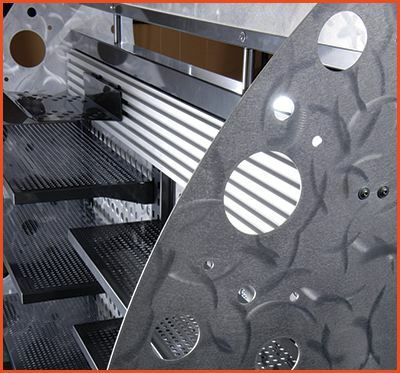 Since we have the equipment to punch, form, perforate, weld, laser cut, custom tool and stamp metal, our fabricated metal components ensure that your retail fixture commands prime attention for the product.